60 Series Stainless Steel Vertical Float Switch - Deeter Electronics Ltd. 60 Series Stainless Steel Vertical Float Switch - Deeter Electronics Ltd. 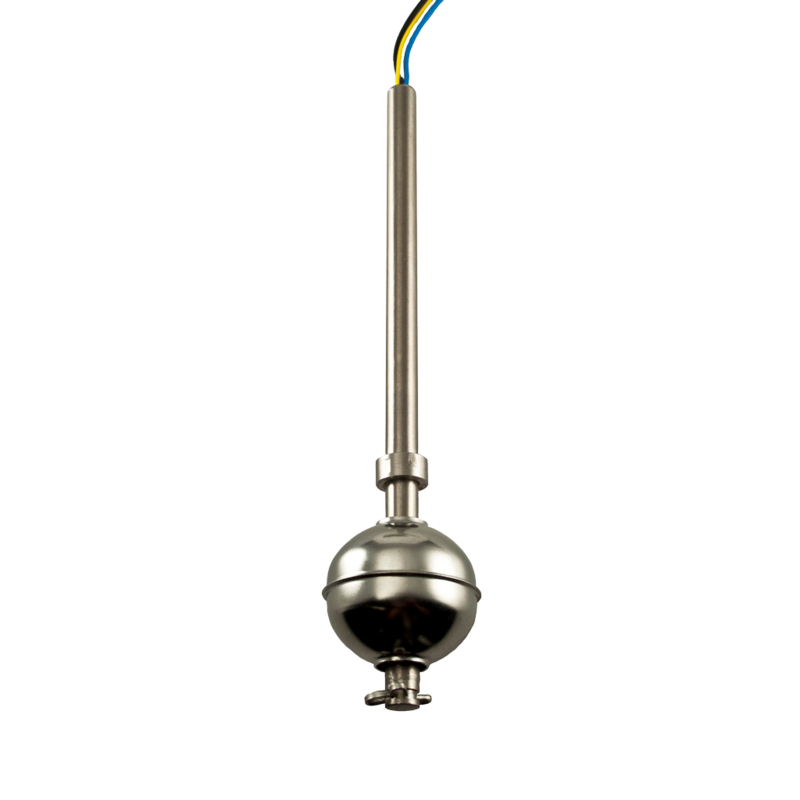 The 60 Series is a robust vertical sensor manufactured in 316L Stainless Steel. It is designed for high temperature and high pressure applications. It is easily height adjustable for varying switching depths. It is available in two versions dependent on temperature requirements: our Standard version rated to 120°C, and our High Temperature version rated to 200°C. Ideal for most harsh environments such as food/beverage, automotive, pharmaceutical and chemical industries. Small vertically mounted liquid level sensor designed for high temperature/high pressure operation and sensing chemically aggressive liquids. The design provides a cost effective solution where high reliability in a demanding environment is called for. Ideal for applications in food, automotive, pharmaceutical and chemical industries. As shipped, the float switch is Normally Open and closes on rising to the switching point. This can be changed to Normally Closed and open on rising by inverting the float on the stem. 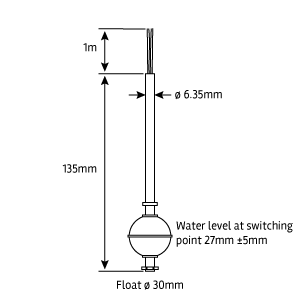 For more about Float Switches click here.